I had intended to type a full news update about the subject of Seren Ffordd, but Lena and i have been getting ready to go out of town for a few days and I haven't finished that update yet. At any rate, I had hoped to make some sort of announcement about our plans to release a Seren Ffordd reissue series on Hypnos Secret Sounds, beginning very soon with Stellar Nurseries. A few of these items are still available, in small quantities, in their Umbra or Penumbra editions, and we still have to nail down the specifics of the cover designs for some of these, but this reissue series will definitely happen and will begin quite soon. It makes the most sense to me to release the reissues in chronological order, according to the sequence in which they were originally released. The series will include at least one, and possibly more, previously unreleased full-length recording. Sorry to be unable to add sample cover artwork but that will come soon. The above is subject to change, and I don't believe I have them in the right order above, but I have to go pack! Andy aka Seren Ffordd will probably add more information to this over the weekend while Lena and I are gone. This is a series we're very excited about and we think Hypnos listeners, as well as frustrated Umbra-hunters, will really enjoy it. Thanks Mike for making the announcement. I am very excited about the plans Mike has detailed, to which Oophoi gave his blessings to. Vajra Storm is unlikely to be released due to copyright issues re some of the samples. Oophoi was originally keen to release it on Umbra and was confident at getting permission from some sources, but unfortunately, convinced that it would not come from others. Calling has not yet been released. I am currently working on it for consideration by Mike but that is dependent upon him liking it.......fingers crossed. Thanks, Mike and Andy, for the info. I'll be crossing my fingers for Calling as well. We are getting ready to start the Seren Ffordd reissue series soon, beginning with Stellar Nurseries. More news very, very soon! I'm pleased to announce that this disc has finally been released in the Hypnos store. 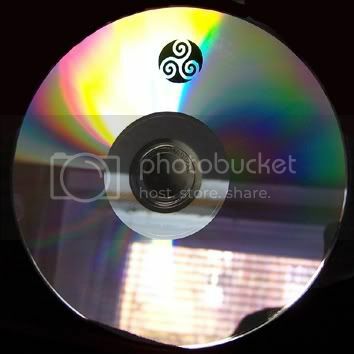 We are also announcing a change to the price of all past and future Hypnos Secret Sounds releases, starting now, through at least the end of the year -- $9.99 per disc! 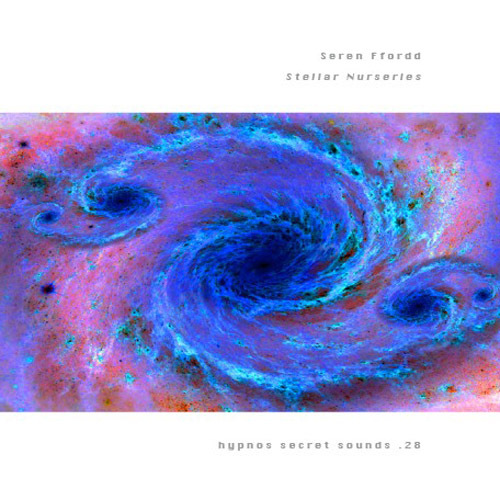 Seren Ffordd's Stellar Nurseries, which is actually a reissue of a 2004 release (the first in a planned series of recordings previously issued on Umbra and Penumbra, Italy-based labels managed by Oophoi) he created using a Korg 016 and a Yamaha PSR 262 keyboard. It's an hour-long, single-movement work that the Wales-based Ffordd splits into four figurative sections: “Out of the Void,” “Storm Movement,” “Spiral Dance,” and “Floating, Dreaming.” By way of context, the artist's notes describe huge, drifting clouds of molecular gases that turn star-like, then gradually increase in heat and movement until ignition occurs, after which lighter and heavier elements are pushed and pulled by gravitational forces until planets form. There's a suspended and drifting quality to the material, with cloud-like washes and tones extending for minutes at a time like massive exhalations taking place thousands of kilometres above the earth or perhaps nebulae coming into focus in slow-motion. Shifts in emphasis alternate between the rumbling lower to ascendent higher tones, and wave-like surges in intensity occur too, lending the material an industrial character in the process. An undercurrent of controlled aggression and pressure dominates the first half, until an abrupt termination strips the material down to a sole, organ-like nucleus around which synthetic tones languorously congregate as the sound mass thickens. In contrast to the first, the mood of the second half is lambent, serene, and melancholy, rather requiem-like in spirit as if in mourning for the death of a star. Ultimately, the programmatic connections between the section titles and the work itself are easily drawn in Ffordd's beautifully sustained meditation. 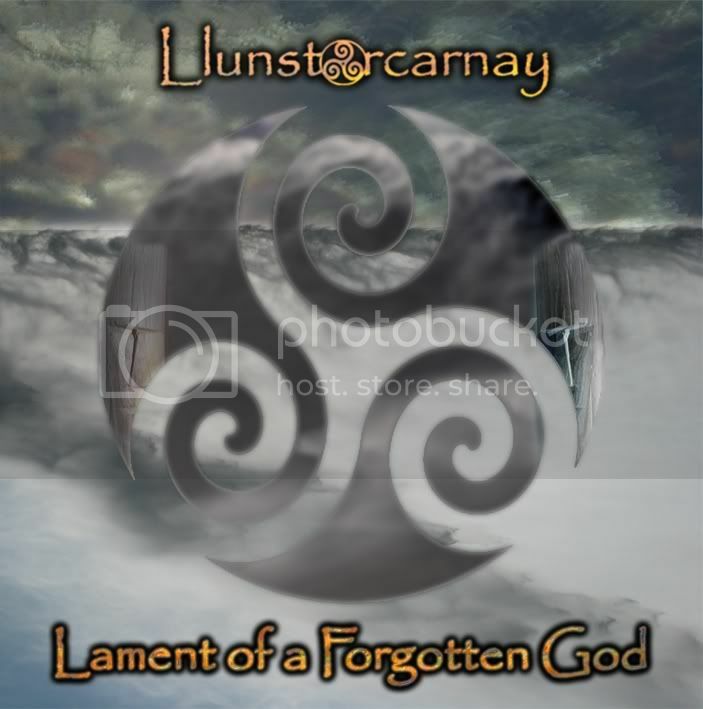 We announce the release of 'Lament of a Forgotten God' the debut album from Llunstorcarnay - the collaboration between Seren Ffordd (UK) and Gliese 614 (UK). 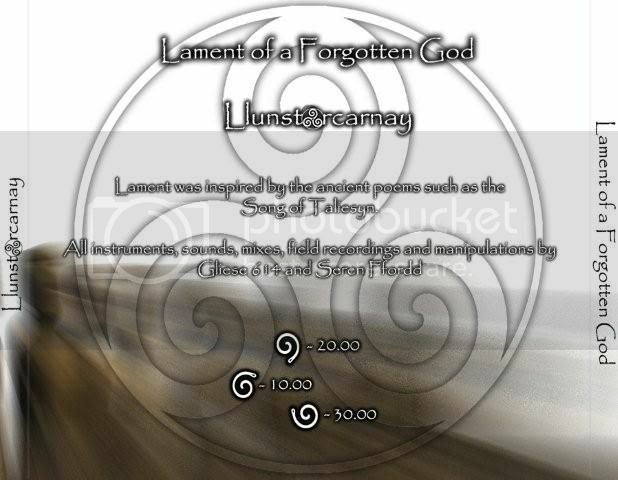 Lament of a Forgotten God is inspired by the ancient poems such as the Song of Taliesyn and was recorded between August 2008 - March 2010. The album developed a life of it’s own, not quite going where we had intended but drawing us into it’s own sounds and direction - we are pleased at having given it a voice. The album has a wide range of styles amongst the 20 musicians. realised a couple of days ago that the thread has had more than 10,000 views. Thanks for the interest in the music. Now that the two collaberations I've been working on for sometime are complete ('The Martian Chronicles' with Oophoi and 'Lament of a Forgotten God' with Gliese 614), I'll be getting back to some solo music - picking up 'Fractured' again and looking into something new. Yes, but 9,900 of those views are from you hitting "reload!" 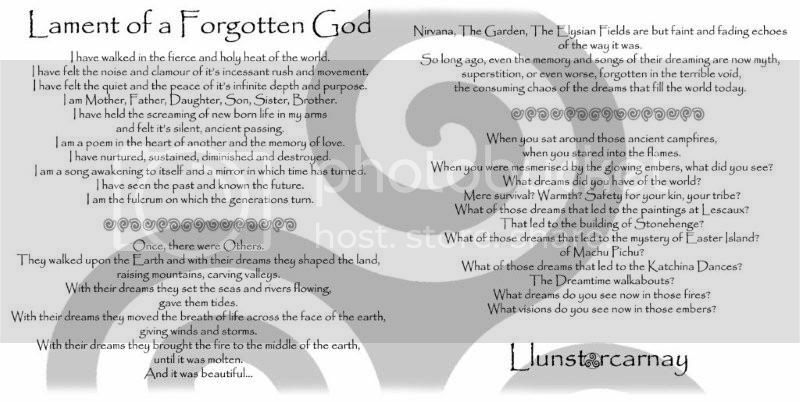 Speaking of the new album "Lament of a Forgotten God," I've been giving this one numerous repeated plays here, and enjoy it quite a bit. It's definitely a departure for Seren Ffordd but in a good way. Interesting, challenging, and strange! Glad you enjoy our album. As 'The Martian Chronicles' is highlighted I assume you are asking about this Ein Sophistry. 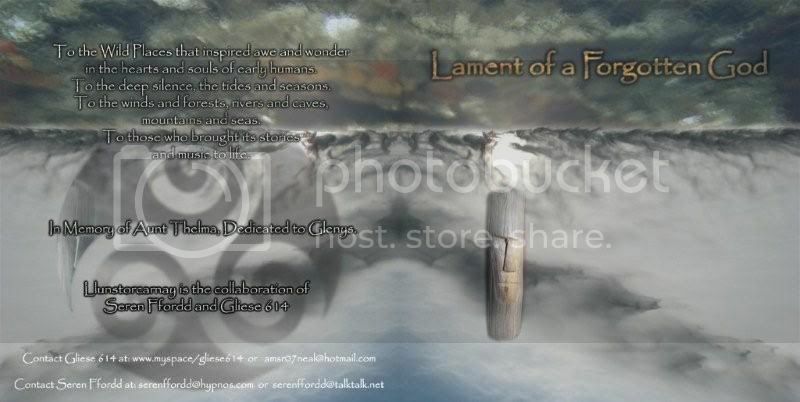 It is completed and currently with Mike for consideration for release as a Hypnos disc. 7 tracks inspired by the novel of the same name by Ray Bradbury which focusses more on the martian aspects of the book. The plan is to release The Martian Chronicles on Hypnos before too long -- it's great work. Seren Ffordd and Oophoi recorded two albums worth of somewhat "connected" material but I think those will be treated as separate albums, rather than a 2-CD project. I'm glad Mike likes it. It's taken a while to complete - about 4 years from first idea to finished master and I think it marries nicely our different (if similar) styles.